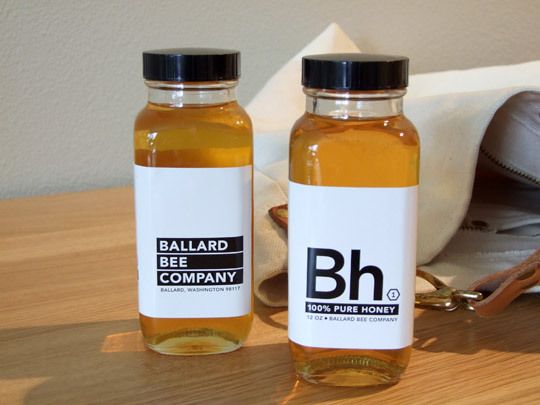 Ballard Honey is locally produced under unique arrangements: because the city limits the number of bee hives that a person can keep on a single lot, the Ballard Bee Company finds neighbors who are willing to host them in their backyards (or in the case of the Bastille restaurant, their rooftops). It is very clean tasting honey, and comes in a jar with an awesome label. Read more about it on Seattlest. 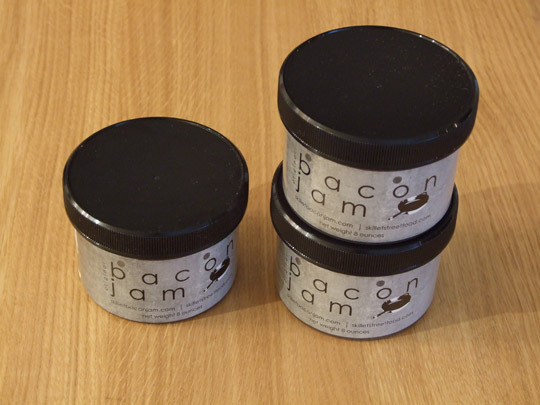 Made by a local food truck crew, bacon jam is a delicious concoction of meat and is also a great conversation starter. What is it, exactly? New jars are now labeled as “bacon spread” – it turns out that in order for these guys to sell it in stores, they cannot use the word “jam” to describe it (by law and in the eyes of the FDA, jam is very specific). Read more about bacon jam in T-Magazine.